Competition closes: 21 September 2017 at 23:59 Terms and Conditions Apply. 1.1. 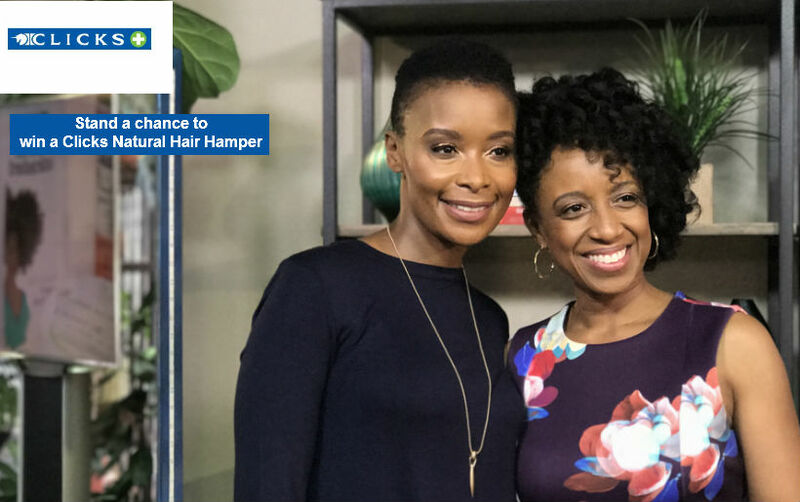 The Afternoon Express Clicks Natural Hair Hamper (Competition) will be run by Cardova Trading (Pty) Ltd in association with Clicks (Organisers/we/us/our). Entries for the Competition will open at 16:00 on Thursday, 21 September 2017 and will close at 23:59 on Thursday, 21 September 2017 (Competition Period). 5.1. We will randomly draw 3 (Three) persons (The Winners) from all valid entries by means of an automated system within 12 (twelve) hours from the closing date of the Competition Period. Late entries will not be considered. 5.3. The Winners will be required to provide a copy of his/her Identification Document as required in terms of the Consumer Protection Act, 68 of 2008. If the Winner fails to provide a copy of his/her Identification Document within 1 (one) day from being requested to do so, the Winner will forfeit the Prize and shall have no claim against us. 6.1. Each of the Three Winners will receive 1 (One) Clicks Natural Hair Hamper to the Value of approximately R1,000.